Today is the 220 anniversary of the birth of the most popular opera composer in history, Gioachino Rossini. Born into a family of musicians, he wrote his first opera when he was a youth of 14 years old. From his twenty years old he wrote more than fourty operas; during the first representation of his works he gained contrasting reviews from the audience, ranging from extraordinary success like La pietra del paragone, La gazza ladra, Zelmira and Semiramide, to resounding failures, for example, The Barber of Seville, was a colossal failure when it premiered as Almaviva; Paisiello’s admirers were extremely indignant, sabotaging the production by whistling and shouting during the entire first act. However, not long after the second performance, the opera became so successful that the fame of Paisiello’s opera was transferred to Rossini’s, to which the title The Barber of Seville passed as an inalienable heritage. 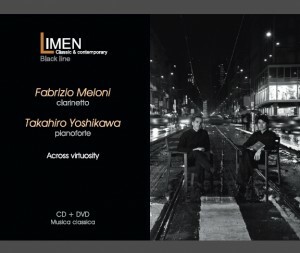 Limenmusic pays tribute to this great Italian artist into the new album of Fabrizio Meloni, First Solo clarinet of the Orchestra and the philarmonica of La Scala Theatre in Milan, since 1984, and the talented pianist Takahiro Yoshikawa: Across virtuosity. 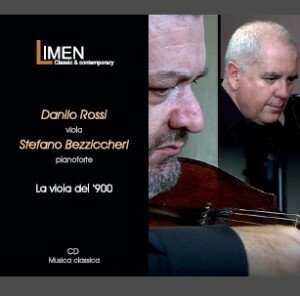 In this album, entirely dedicated to Fantasie for clarinet and piano that move from operatic melodies, we proposed a Fantasia from Semiramide written by Ferdinando Sebastiani, called by Rossini: “Le pére des clarinettes“, in 1838, in the middle of the “belcanto” season. The Italian quartet will celebrate its tenth birthday on February 28. 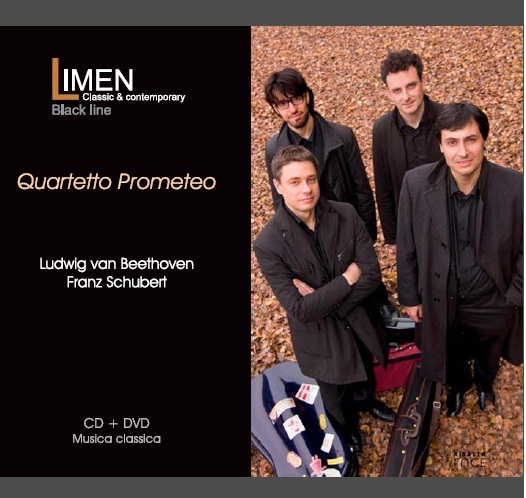 2012 in Verona (Italy), with Amici della Musica, performing Schumann and Schostakovich’s quintets. For more info about Quartetto Anthos, please click here. 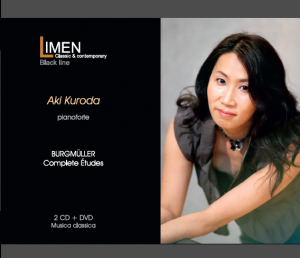 Here you can find a review (in Italian version) about the latest album of the Japanese pianist Aki Kuroda , entirely dedicated to Burgmüller complete etudes, published on Brescia Oggi. Un’altra bellissima operazione proposta da Limen. Per la quale occorre anzitutto sapere chi era Johann Friedrich Franz Burgmüller, compositore tedesco che fu a Parigi fin dal 1832. E, se scrisse un numero impressionante di brani, uno dei suoi maggiori meriti è proprio quello di aver scritto una tale serie di studi per pianoforte tali da costituire una “scuola” che qui viene proposta in modo completo dalla brava artista giapponese, che ha registrato i 25 Studi facili e progressivi op. 100 e poi i 18 Studi di genere che sono il seguito. Nel secondo CD gli Studi Brillanti e Melodici op. 105, ma anche le Fantasie sull’Ernani e su Giselle.